Key Difference: Bitcoin is now considered to be the most popular and most expensive cryptocurrency on the market. Bitcoin was launched on 3rd January 2009 by pseudonymous developer Satoshi Nakamoto. On the other hand, Peercoin is fairly newer. It was launched on 12th August 2012 by software developer Sunny King. Peercoin is inspired by Bitcoin, and hence shares much of its source code and technical implementation. 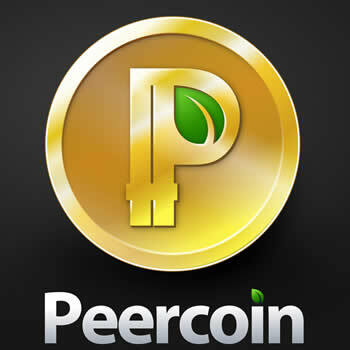 Bitcoin and Peercoin are types of cryptocurrencies. Cryptocurrencies are types of digital currencies that use cryptography to create a distributed, decentralized and secure information economy. This essentially means that the currency is not controlled by any central regulatory authority, such as banks or governments. Cryptocurrencies are instead a peer-to-peer network, i.e. they are directly transferred from one person to another. The central regulatory authority cannot control or limit the growth of the currency. However, this also means that there isn’t anyone to stop it from spiraling downward and out of control, if it ever comes to that. The concept of cryptocurrencies is not new. In fact, cryptocurrencies have been around since the 1980s; however, the recent trend of cryptocurrencies was started by the launch of Bitcoin. Bitcoin is now considered to be the most popular and most expensive cryptocurrency on the market. Bitcoin was launched on 3rd January 2009 by pseudonymous developer Satoshi Nakamoto. On February 6, 2014, one Bitcoin is valued at US$ 802.19, which is down from its all time high of around US$ 1050. On the other hand, Peercoin is fairly newer. It was launched on 12th August 2012 by software developer Sunny King, who later went on to develop the cryptocurrency Primecoin. Peercoin is inspired by Bitcoin, and hence shares much of its source code and technical implementation. However, unlike Bitcoin, Peercoin is an implementation of a combined proof-of-stake (PoS) and proof-of-work system (PoW). It is in fact the first cryptocurrency to implement this. The advantage of cryptocurrencies such as Bitcoin and Peercoin is that they are created and managed by the users of that currency. This is done through the process of mining the block chain. The block chain is a list of all the transactions that are conducted with that currency. The block chain is divided into smaller segments called blocks; solving each block creates more coins. Both Bitcoin and Peercoin release a new block every 10 minutes. However, unlike Bitcoin, Peercoin does not have a limit on the number of coins that can be produced. Bitcoin is capped at 21 million, after which no more new coins can be created. While this does mean that Peercoin can essentially be created unlimitedly, the creation of coins in reduced over the years, as the difficulty of the block chain increases. In Bitcoin, the difficulty is increased every 2016 blocks, whereas in Peercoin, the level of difficulty is linked with the number of people mining. Furthermore, Peercoin will face a steady 1% "decentralized" inflation per year. Peercoin also charges a fixed rate of 0.01 PPC for every transaction. This fee is not added to the miner, but is instead destroyed in order to offset the inflation caused by the minting process. Also, Peercoin's proof-of-stake system claims to address the high energy consumption that is required to mine Bitcoin. The proof-of-stake method of generating coins requires very minimal energy consumption as it only requires the energy to run the client software on a computer, as opposed to running resource-intensive cryptographic hashing functions as required by Bitcoin. Still, since its launch Peercoin's primary method of coin generation is the proof-of-work hashing mining. Over time the proof-of-work will be phased out as proof-of-work difficulty increases and block rewards decrease; it will then be replaced by proof-of-stake. As of January 2014, roughly 90% of new coins being generated are still from proof-of-work and the energy consumption of Peercoin uses roughly 30% of the energy consumption of Bitcoin. The first cryptocurrency based on an implementation of a combined proof-of-stake (PoS) and proof-of-work system (PoW). Combined proof-of-stake and proof-of-work system. Limited release rate plus 1% decentralized inflation due to the proof-of-stake system.